The Glam era of the early 1970s is to be critically evaluated for the first time in an ambitious new exhibition at Tate Liverpool. Glam, the extravagant pop style and sensibility which emerged during the period 1971-5, embraced high and low culture and played with identity and gender definitions. The exhibition moves beyond nostalgia and uses Glam as a prism through which to view artistic developments in Europeand North America. Bringing together over one hundred works by artists including Richard Hamilton, Sigmar Polke and Cindy Sherman, Glam! The Performance of Style re-defines art and performance in the 1970s, revealing the migration of fine art ideas into the front line of popular culture. 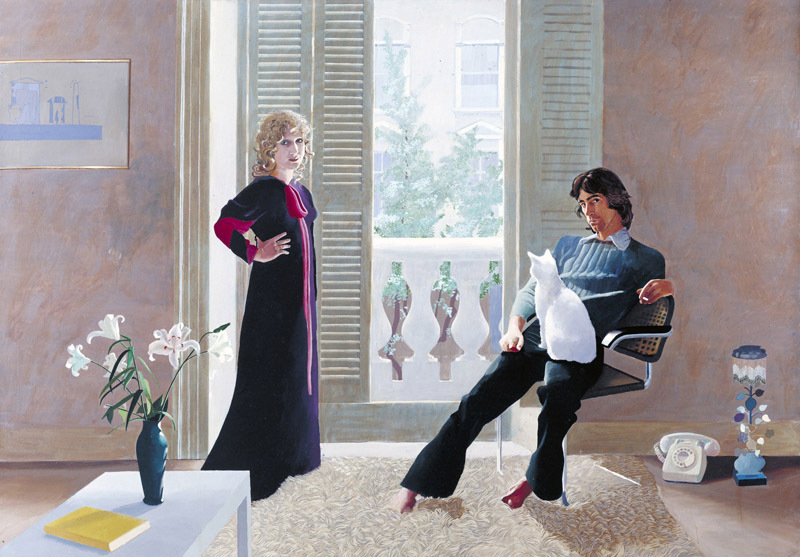 The exhibition takes as its starting point the dynamic combination of art, music and fashion which fermented in the British art-school of the 1960s, presenting key works such as David Hockney’s iconic painting Mr and Mrs Clark and Percy 1971. This coming together of art and life will also be explored through performative ideas of dandyism and the ‘ironic pose’, manifest in the work of Gilbert & George and Nice Style: The World’s First Pose Band. Also presented will be Marc Camille Chaimowicz’s Celebration? 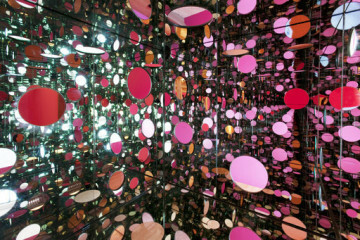 Realife 1972, a spectacular glitter-strewn installation with mirror balls, stage lighting and the music of David Bowie. It will be a new adaptation of the work especially for Tate Liverpool and will be installed by the artist. Glam! The Performance of Style will examine glam culture in New York during the period, tracing the evolution of camp and androgyny as evident in the work of artists such as Jack Smith and Peter Hujar, and considering Andy Warhol as a key figure relating to glam. In a further section, eroticism and artifice will be explored, considering the use of materials which lent works a synthetic or ‘trashy’ quality – feathers, fur, vinyl, glitter – by artists such as Allan Jones. From the early to mid-1970s, artists in Europe and North America including Cindy Sherman explored idealised states of glamour as a means to exaggerate or satirise the cultural values of beauty and fashion. At the same time, others were concerned with shifting roles in relation to gender and identity, as demonstrated in Katharina Sieverding’s projection Transformer 1973-4 and Ulay’s self-staged Polaroid works, seen in theUK for the first time. Combining historical and thematic elements, Glam! The Performance of Style will offer a refreshing new perspective on 1970s art and visual culture, underlining its continuing influence on the contemporary imagination. The exhibition will also present works by ASCO, Lynda Benglis, James Lee Byars, Franz Gertsch, Margaret Harrison, Derek Jarman, Ed Paschke and Patrick Procktor. The presentation will be augmented by a rich selection of contextual documents, photographs, and ephemera from the era. Glam! The Performance of Style is curated by Darren Pih, Exhibitions & Displays Curator, with Eleanor Clayton, Assistant Curator. The exhibition will tour to the Schirn Kunsthalle Frankfurt (June – September 2013) and Lentos Kunstmuseum Linz (October 2013 – January 2014).